An 8 Minute Standing Ovation! WireImage.com’s pics of the cast/crew arrival at the Palais, as well as pics from pre-and-post show. 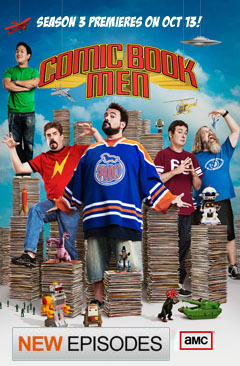 With all the vitriol surrounding some of the press screenings of flicks there this year, I was pretty terrified “Clerks II”, also, might be greeted by a chorus of French Boos (and I ain’t talking about champagne). They just kept on clapping. And thankfully, not only did Zack and Joey get the whole thing on tape to prove it all happened (watch for it in a new “Train Wreck” video blog, up this weekend), but Roger Friedman over at Fox411 was there was well, documenting what I have to say was one of the twenty most amazing moments of my life. 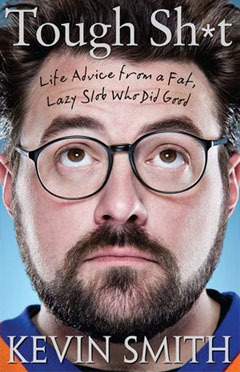 Read Roger’s Piece, “Clerks II Delights Cannes”, right here. But be warned: it also contains a very positive review of the flick that gives away some major plot points. SPOILERS ABOUND! En route to the theater, I prayed that the notoriously fickle Cannes’ audience wouldn’t boo the flick. During the screening, I prayed that the film would keep playing as gang-busters as it had been playing up ’til that point, and that the audience stayed with us, rather than succumb to mid-flick naps. After the screening, I started praying that I never forget that insanely special moment that I shared with Jeff, Brian, Rosario, Mos and Jen – when time seemed to stand still, and at the world’s most famous film festival, we all stared wide-eyed (and wider-smiled) at a room-full of cats staring back at us (with equally wide smiles and palms cooked red from non-stop applause) who really, really “got” what we were trying to communicate with “Clerks II”. Life comes down to a few major moments. Last night was definitely one of them. “Clerks II” – July 21, in theaters everywhere.